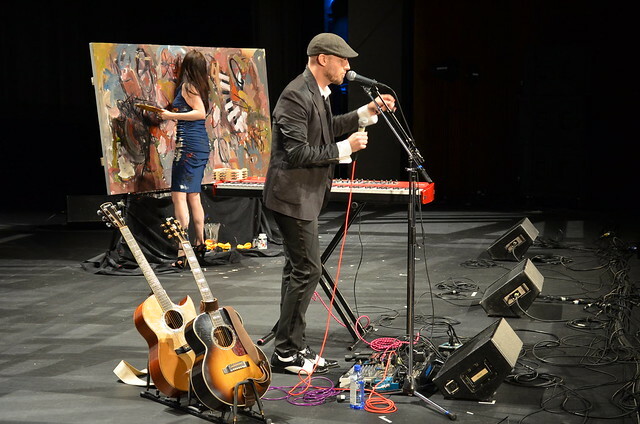 TEDx Nashville was back at TPAC for its third annual event. 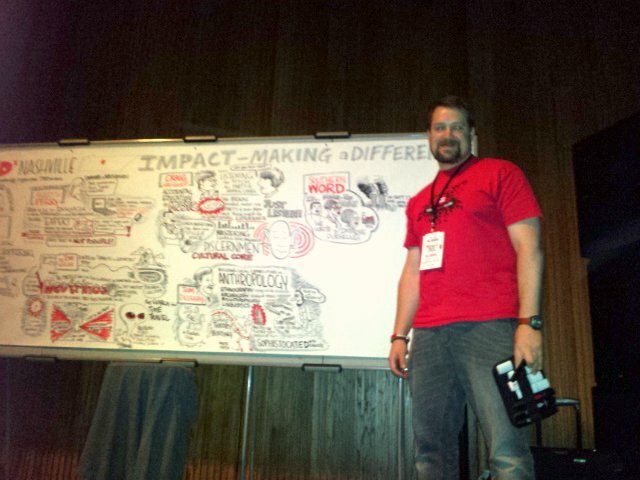 This year's theme was Impact: Making a Difference. The amazing list of confirmed speakers will be sharing on everything from changing your brain without surgery to communicating with extraterrestrials, child literacy, and unlocking your creativity with paint. Southern Word, Nashville's crew of compelling high school spoken word poets, will be making an appearance, no doubt to bring the audience to their feet once more. 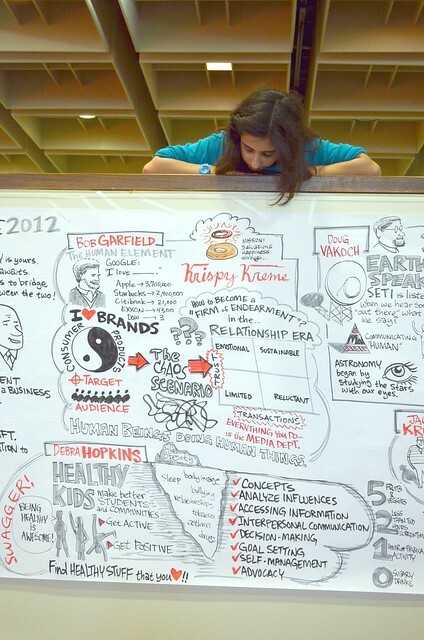 Alphachimp Studio's co-founder and creative director, Peter Durand, was working stage left to capture visual summaries of each exciting speaker. The event was once again emceed by Ross Scott, who did a fine job keeping pace and "keeping it real". There were many special moments during the day, but a special one was created (literally and in real-time) during a first-tem collaboration by musician K.S. Rhoads and painter Rachel Kice. 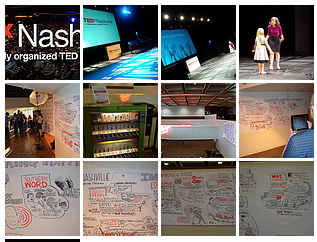 check out this Flickr set.